You love your friends and family. I know it. You know it. But when you’re on vacation and suddenly everyone has different ideas of what they want to go and where to eat and when they need bathroom breaks don’t you… sort of… want to push them in the lake? Just a little? Whether this is a once-in-a-lifetime trip or a yearly affair, vacationing with a big group of people can get stressful in a hurry. Here are a few Disney World tips to save your sanity and keep things running as smoothly as possible. 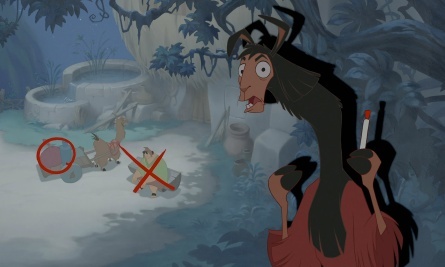 As told entirely by screenshots of The Emperor’s New Groove. 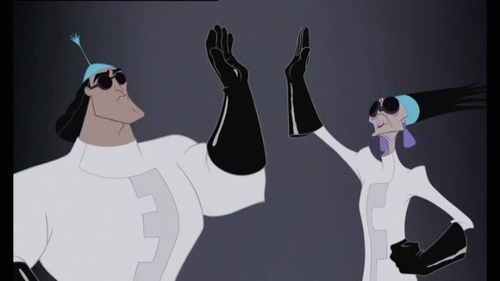 Because nobody knows how to party like Kronk and Yzma, that’s why. For some reason, people think it’s weird when you ask everyone to synchronize their bowels and bladders. Since you can’t predict when someone’s going to need the bathroom, other than the laws of nature being that it will be while you’re in line after they told you they were sure they didn’t need to go, keeping track of where the restrooms are in each park is doubly important when you’re wrangling a big group of people. Being able to point out where the closest bathroom is so that someone can quickly pop off there (escorting a kid, if need be) can make sure your trip runs smoothly instead of having to stop and ask a Cast Member every fifteen minutes. The park maps will highlight each area, and most parks have an abundance of them… except for some reason the World Showcase at Epcot, likely to punish those of us with tiny bladders who dare Drink Around the World. Likewise, if you have any smokers in your group, knowing the designated smoking areas keeps you from being that group everyone glares at, walking along trying to be surreptitious about the burning cigarette you’re palming. The smoking areas aren’t quite as numerous as the bathrooms, but they tend to be nicely spaced out. 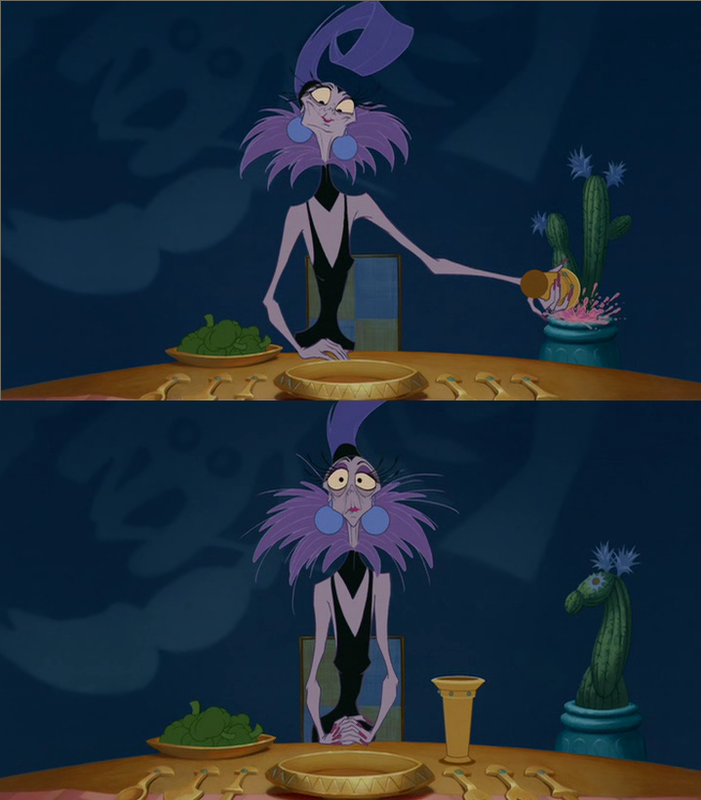 There’s nothing worse than assuming a restaurant will have something for everyone, only to see three people at your table make that face when they look at the menu. You know the one. The face that says, “There’s nothing I really want here, so I’m now going to make sure you know I’m suffering through it.” Even if everybody in your group insists they’re “fine with whatever”, assume they’re all dirty liars and make sure everyone has looked at and given their seal of approval on any menus for places you plan to eat. Likewise, while most restaurants at Disney are happy to accommodate special requests for allergies or food restrictions, if someone you’re traveling with is a vegan or can’t handle dairy, it’s always best to call and double-check… making sure you get the name of whoever you talk to so you have someone to refer to if you run into trouble once you’re actually there. Perhaps most importantly, however, is to never underestimate how important reservations can be. Because Disney allows you to book 180 days in advance of your trip for most restaurants and dinner shows that take reservations, some of the more popular restaurants can be booked solid certain times of year, and may have difficulty seating larger parties on the fly even during slower times. If there’s some place you have your heart set on visiting, don’t leave it to chance! Depending on the time of year, Walt Disney World can be an easy-breezy relaxing trip or a battle upriver against a tide of humanity. While you might think spending Christmas and New Years at Magic Kingdom sounds like the most wonderful thing ever… so does half the rest of the free, vactioning world. Wait times skyrocket, the streets become clogged with people, and reservations can be a nightmare… all of which can be exacerbated when you’re trying to keep track of a bunch of people yourself. Consider what time of year it is, and whether any special events are happening, as well as what parks you plan on visiting, and whether they have Extra Magic Hours for that day. While it might not be a big deal to keep track of a bunch of adults during a busy event, it’s a lot more hectic when dealing with lots of kids and strollers, and even normally patient kids can find long waits for attractions hard to take. The Crowd Calendar included with a Touring Plans subscription can help a great deal with this for specific days, but just taking into consideration the time of year, from big holidays to when school is out in various parts of the country (and world!) can make a big difference. Knowing is half the battle, and considering the way some people wield those strollers in crowds like their name is Inigo Montoya and your ankles killed their father, busy days can be battles indeed. Learning how to use the new FastPass+ system can make your trip a lot easier, and planning your visits around Extra Magic Hours will make the most out of the time you have. There are also a lot of great Disney World tips for any size party right here at Touring Plans. Not everybody is willing to brave the crush of people that is rope drop. Not everyone wants to spend time at the hotel pool. I know, I know. Split up? 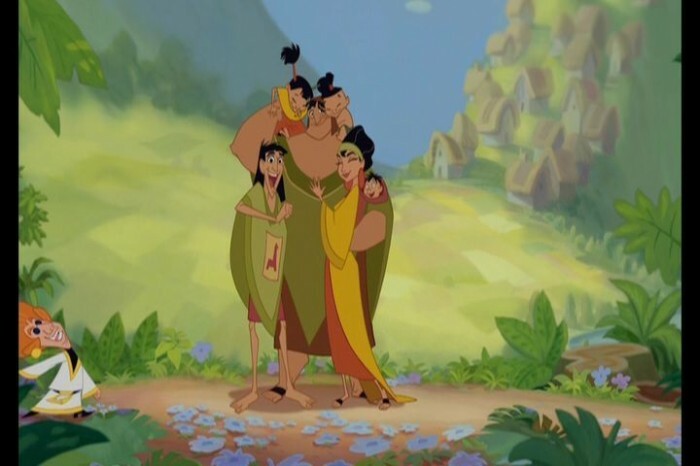 At Walt Disney World, the family-est, together-est place on Earth? Sometimes it’s for the best. If you and your bestie are dying to see animatronic Johnny Depp in The Pirates of the Caribbean but nobody else is interested, there’s no reason to force everyone onto any give attraction just for the sake of togetherness. There’s so much to see and do in any given park that there’s something for everyone, so don’t be afraid to split up when interests divide. Just make sure you have a place to meet back at, and a way to contact everyone. Don’t get so hung up on doing everything together that you’re dragging Grandpa to see Mikey’s PhilharMagic when he’d really be happier watching the crowd go by on Main Street with a hot dog. Disney World is one of the safest places around, so you don’t need to worry quite as much if your teenagers want to run off for Dole Whips while you stand in line for the Jungle Cruise Ride. Hey, isn’t that basically why you have kids anyway? So that they can be waiting for you with treats you don’t have to go get yourself when you’re done having fun? 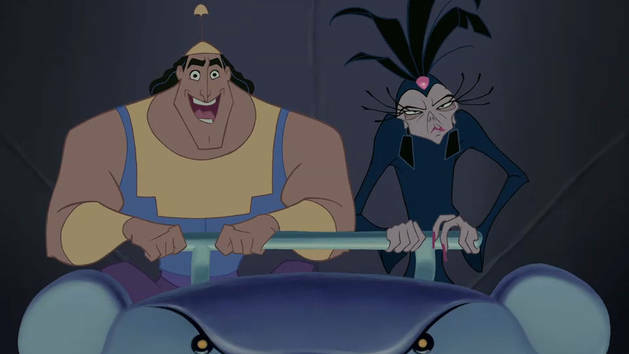 Of course, if someone is taking one for the team and standing with little Suzy for two hours so she can meet Princess Jasmine, make sure to balance the responsibility later on and give that person a chance to do what they want while someone else holds the line. So you trusted Auntie Bev to bring the sunscreen, but she left it at home to leave room for her lucky bingo dobber, and Uncle Barney said he’d be in charge of your reservations, but he can’t remember where he wrote them down. Instead of putting the responsibility for any one crucial thing on a single person’s shoulders, make sure the people who can, are carrying duplicates of the most essential items, even if they’re left at the hotel room most of the time. (And trust me, once you see the price of sunscreen inside the park, you will consider bringing your own an essential.) Make sure everyone has a copy of any reservation numbers and times on their phone, double-check to ensure that everyone also has everyone else’s cell phone number where applicable, and any other information they might need… room numbers, the place you parked? While you’re at it, it might not be a bad idea to invest in a portable cell phone battery recharger. You can get a cheap one for $20.00 or so, and it can cut back on any whining when batteries begin to run low late in the day. Just make sure you have compatible charging cords! If you’re feeling particularly ambitious and you have the space, keep a cooler in your hotel room filled with your favourite things to snack on so you won’t be tempted for room service in the evenings… trust me on that one. Sunscreen. Blister pods. Band-aids. Acetaminophen. These are just a few of the things that can keep your day at the parks from being cut short, and they’re also some of the most expensive items to find if you have to buy them in the parks themselves. Take a small ziplock bag and put a few of the basics in for when you’re going to be away from the hotel, but consider making sure you have other medicine available if you need it as well. No matter how much sanitizer you use coming down with a cold is a real threat when you’re at a place with so many people, so keeping things like throat lozenges, cough syrup, and even allergy medication in a suitcase isn’t a bad idea, even if you don’t think you’ll need it. It might seem weird for an article about Disney World tips to really stress how sick and gross you might wind up feeling, but hey. Take it from someone who spent the first day of her honeymoon sneezing, whining, and begging for orange juice and/or an easy demise. The illnesses you can pick up at theme parks are their own special forces of nature, and having medicine on hand is the difference between a derailed day and one that just needs some extra tissues crammed in your pockets. Even if you don’t get sick, little things like headaches or sore feet can get in your way and slow you down if you don’t come prepared. Don’t underestimate how big the parks are, or how hot and humid a Florida day can be. Even if you consider your group to be fit as a fiddle, it’s easy to get run down if the only time you sit down is when you’re having lunch or dinner. Even standing in line can be exhausting when you’ve been on your feet for hours already. Take at least ten to fifteen minutes every now and again to relax somewhere shady and rehydrate. If your trip time allows for it, go back to the hotel and take a short nap, or just be somewhere quiet and cool and, you know, not surrounded by hundreds of people for a little while. Touring at Disney World can be exhausting no matter how prepared you are, and sometimes long days can make people tired and crabby, which sort of negates the point of being at the happiest place on Earth, right? Giving everyone a little down time to recharge can go a long way to ensure you finish the end of the day happy and excited for tomorrow instead of dragging their feet and sullen. Chances are, everyone in your group has one thing they really, really want to do. Whether it be as simple as getting a bag of fresh made caramel corn in Germany at Epcot or getting a hug from Rapunzel, doing something that means something specifically to each person in the group is a big deal. It’s easy to get hung up on simply crossing every big attraction off a list, but that’s not necessarily what means “Holy gooses, I was at Disney!” to everyone. Get everyone to come up with something specific they want to do and write it down. Make an effort to get to everybody’s item, no matter how small it seems, and schedule the rest of your time around that. You might not get to every single attraction depending on who wants to do what, but at the end of the day you’ll have people who felt like they got to do what they wanted on their vacation, and that makes for happy people. Sometimes Disney magic is all about taking time for the little things, and that’s one of the best Disney World tips I can give you. Something is going to go wrong. Something always goes wrong. A ride will be out of service, you’ll miss your reservations, little Timmy is going to throw up on Cinderella’s slippers. But hey. It happens. It happens to literally everyone, and the thing you have to remember is that it doesn’t matter. You are at Disney World, a place a good portion of the population will only ever dream of visiting. You’re with friends and family you care about and enjoy being with. (I mean, one would hope.) 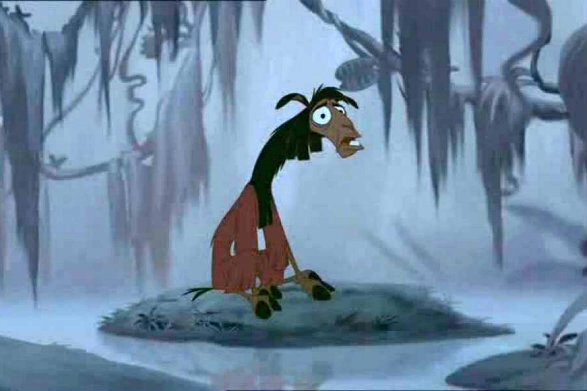 The key to surviving Disney disasters is not to let it be a disaster. The more hung up you get about what went wrong, the less you’re enjoying yourself, and nobody goes on vacation to stew in misery. When something goes wrong, regroup and do something else. The quicker you get your mind off of what you’re not doing, the quicker you get your vacation back on track. A lot of Disney World tips are just common sense, but with a little bit of preparation and making sure everyone is on the same page, no matter how big or small your party is, you’ll conquer the House of Mouse with ease. Why thank you! I think you’re one hoopy frood too! Awesome post! 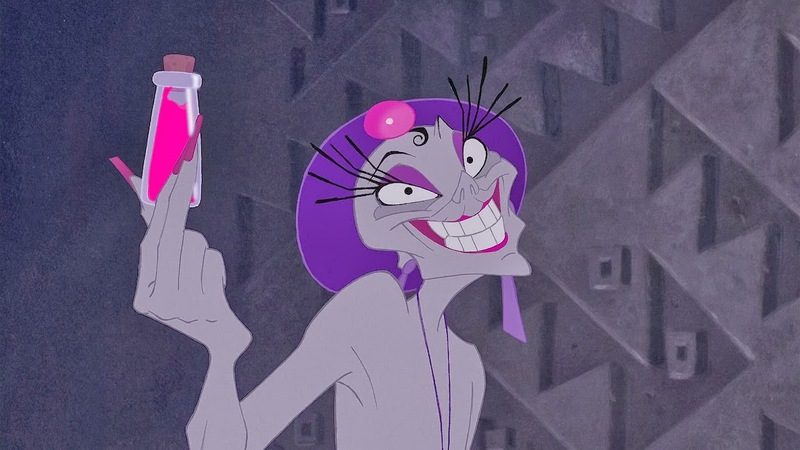 ‘The Emperor’s New Groove’ is one my favorite Disney animated films, and it’s nice to see it get some love. I love the statement, “something is going to go wrong.” I told my wife this when we were wedding planning and I think it helped a lot. If you go into elaborate planning expecting *something* to go wrong, you won’t be surprised or upset when it probably happens. Adapt, move on, and enjoy everything that goes right. What a great article. It was filled with lots of little tips that work for every trip, not just for those going in large groups. And I’d definitely recommend splitting up the family for a few hours. Because as much as you love your family, it’s just as easy for them to start to annoy you. Possibly just by breathing. Splitting up gives you and them that reprieve time so that you don’t end up snipping at each other.